Let me tell you about me and my little piece of heaven! 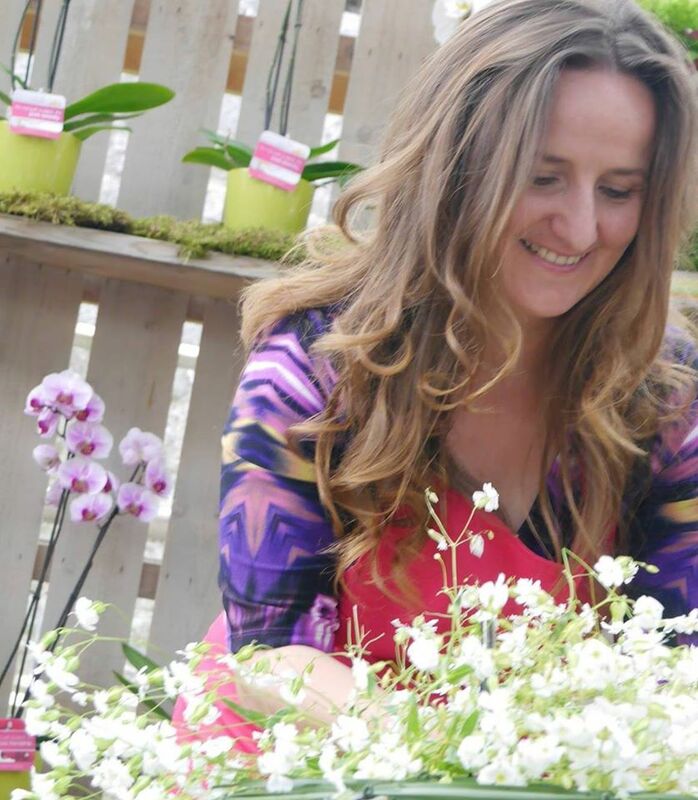 My name is Camelia – florist, creative director, and founder of Austen Flowers. I am often asked if this is my real name… You could say that, with a name like Camelia, I have been predestined to work with flowers. I couldn’t dream of doing anything else; the flowers give me strength and energy and I, in turn, am fortuitous in bringing smiles and happiness everywhere I bring my floral creations. My journey started about 40 years in my grandmother’s herb garden in Romania – I can still remember the cascading rose bushes tumbling over neat rows of parsley, wild strawberries and thyme (you will often find fragrant rosemary, mint, blackberries and fruit in my designs). Couple of degrees in horticulture later, my journey continues to London and Sheffield in the plant nursery fields, and then to Ireland. Almost 20 years ago Louise Austen took me under her wing in the hospitality industry and I was hooked – the buzz, the energy, the creativity! A natural progression towards the floral arranging craft followed, working with some amazing Irish florists and floral designers until, one day, I was ready to express my own creative flair. Austen Flowers was launched on a warm autumnal day in 2009 and I consider myself the luckiest person in the world: doing what I love best, surrounded by flowers and amazing people, travelling to stunning locations and being rewarded with smiles and occasionally, a tear or two of happiness. Please call Austen Flowers on +353 404 66827 to discuss your flowers.